Loving the beach, beach wedding ideas, beach house decor ideas, beach photography, sea glass, driftwood, and craft markets. There are ways to make money from beachcombing instead of simply going beachcombing as only a hobby, or only making yourself, friends and family gifts with the things you find on the beach. You can sell the things you make from the items you find on the beach. The beauty of making money from beachcombing is that it doesn’t have to cost you much or even anything at all to get started. Also, you get out and about a bit, walking and squatting to pick things up. Automatic exercise! In the fresh salty air. Beachcombing is good for you. If you love being at the beach, enjoy looking for seashells and pretty pebbles at the beach, could do with a little exercise, and need some extra income, then attempting to make money from beachcombing may be just the thing for you. Make seashell ornaments that look like little animals and tiny little people. Add tealight candles to large sea shells, or to large broken sea shells that have a hole in them big enough to fit a tealight candle into, or use craft shop wicks and fill up sea shells with your own melted candle wax. Glue little seashells all over a cheap plastic potplant container, or just around the rim. Sell with or without a plant in the pot. Make macrame bracelets or friendship bracelets and instead of using knots or clasps or buttons at the end or ends of the bracelets, use seashells. Make smooth plain pebbles pretty by painting them or painting patterns on them to make them resemble little animals or forest creatures, and sell them as is. Present pebbles that are already pretty all on their own, on or in something elegant or pretty, and sell them as is. Paint bright numbers, letters or shapes onto beach pebbles and sell the pebbles as educational items. Glue many small or at least fairly small if the pebbles are already nice and flat to a cheap rectangular piece of material to make an interesting doormat. 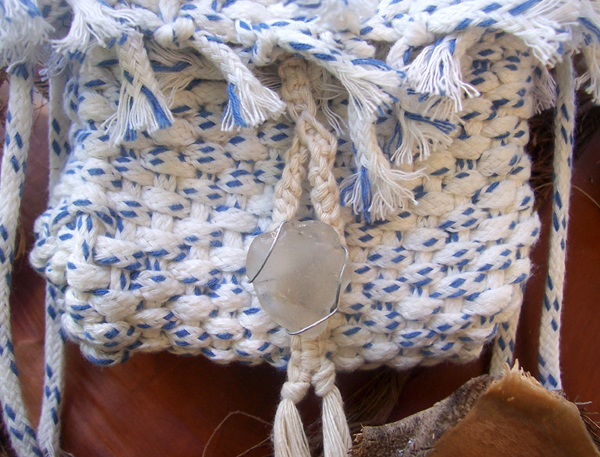 Make a little macrame or crocheted basket or bag, pop in a pebble that you’ve painted eyes on, allow the eyes to peek out the top of the little basket or bag, and attach the finished product to cord to make a necklace. String a few pieces of sea glass together with wire or cord (wrapping each piece of sea glass carefully as you go along) to make a mobile or wind chime, or to hang from a dreamcatcher. Use driftwood, wire and sea glass to make cute little garden ornaments. Make concrete stepping stones for the garden, square, oval or round, and as the concrete is about to set, add pieces of sea glass here and there, or in a particular pattern. Make tiny little fairy houses or cottages with driftwood and sea shells, using sea glass for the windows. Hanging driftwood Christmas trees or cute hanging driftwood trees for any time of the year: make a hole in the centre of various lengths of driftwood, and thread them onto nylon. Make tiny ones and use them as ornaments on the Christmas tree, or as little trees on a mobile. Glue small pieces of driftwood together and make dolls furniture. Some pieces of driftwood almost look like something already. Just add a bead (or a seashell) for an eye, or a feather for a tail, or a small homemade hat (or a seashell) onto what looks like a face, and you already have some interesting items to sell. Perhaps add eye hooks and string or cord or picture hanging wire so that your creatures or characters are ready for hanging, or add a dowel beneath your creature or character, and attach to a neat block of wood, or to a chunky piece of driftwood that has a smooth bottom – or that you’ve given a smooth bottom to. Get a square or rectangle piece of masonite and glue four pieces of driftwood onto it to form a frame, or make holes in the masonite and attach or wrap your driftwood “frame” with wire or sisal. Glue (or wire on or attach with sisal or string) something interesting and beachy (like a seashell) to the centre of the masonite board. Paint everything white or leave natural for a great beach house decor item. Or add your four lengths of driftwood to the edges of a square or recantangular mirror. 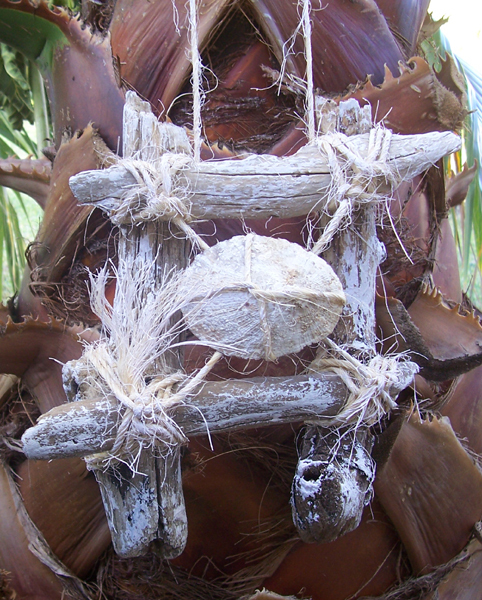 Or have no backing at all for your beach house decor frame, and simply suspend a beachy item like a seashell in the middle with string, sisal or wire. Nail pieces of driftwood together to make numbers, to be used as house numbers. Try combining a few of the items you find on the beach, and come up with even more ideas for ways to make money from beachcombing. Earring pendants don’t have to made from only pieces of sea glass – you could make earring pendants from little pebbles and seashells too. Don’t overlook anything when you go beachcombing. Get both small and medium sizes of seashells, flat pebbles and small round ones, funny shaped pebbles and pretty pebbles, fairly straight pieces of driftwood, or not straight, small and medium, and chunky short pieces too, chipped sea glass, and tiny pieces of sea glass. Also keep your eyes open for other items that could come in useful for beach crafts, such as tangled nylon, broken and smooth pottery, dry seaweed, and fishing hooks. 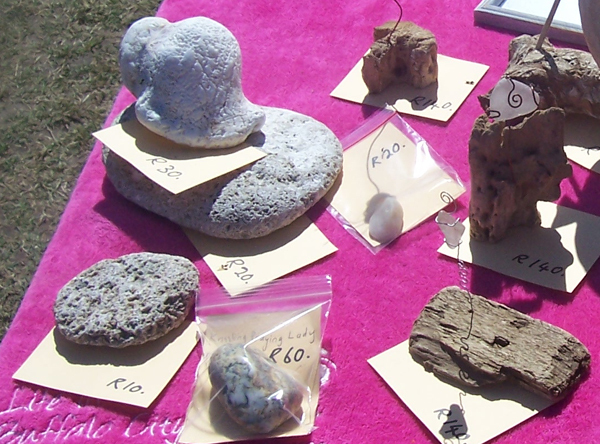 Sell your beach crafts from home, from a flea market or craft market, or from a website – or from all three. Disclaimer: Please check your local country, state, or area laws about what you can or cannot remove from the beach, the quantities of each sort of item that you can remove from the beach, and whether or not you can sell those items (or items you’ve made from some beach items) or if you can use certain beach items only for personal use. beachy Sea Glass PHOTO PRODUCTS! beachy sea glass PHOTO PRODUCTS Check it out! - for yourself or as a gift! Sea glass theme cushions (throw pillows), floor pillows, duvet covers, acrylic decor blocks, clocks, tote bags and drawstring bags perfect for when you're at the beach looking for sea glass or just taking a stroll along the beach, Leggings, A-Line Dresses, Mini Skirts, Women's Chiffon Tops, Tshirts, spiral notebooks, hardcover journals, mugs, travel mugs, stickers, posters, framed sea glass photo prints, and greeting cards too! 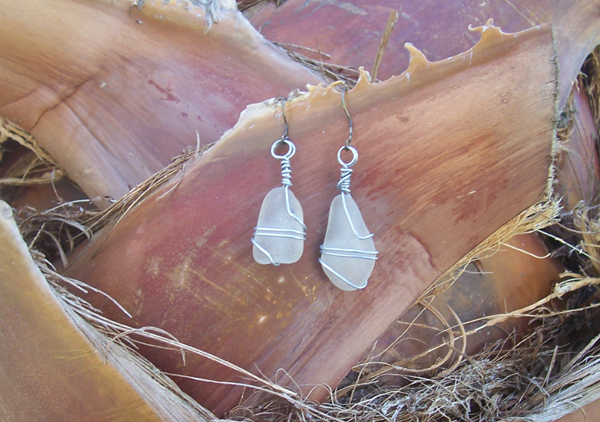 Sea glass fans in countries outside of South Africa are welcome to order from us too. Take Note! Based on jewellery quality sea glass (sea glass pieces that have few flaws) and on sizes of sea glass where the pieces are between 1 and a half cm and 2 and a half cm across the shortest central side, and not too thick (we might charge more for thicker sea glass pieces). And subject to change at our own discretion. We increase the price if the sea glass pieces are bigger; we decrease the price if the sea glass pieces are smaller, or of a poorer quality - for example craft quality (not too frosty and/or has many flaws etc) rather than jewellery quality. We also decrease the price considerably if ordering more than 80 pieces. And decided at our own discretion. We don't always have stock of the sea glass pieces you might be looking for, but just contact us to check! Also visit our beachy TanT PRODUCTS page. Visit our Contact Us page to ask us about a product or if we can make something that you need or want. ARE YOU LOOKING FOR DRIFTWOOD?